The invention relates to an interactive voice communication method and system for communicating with personalities. Any sort of real or authored personality, including but not limited to celebrities, characters, and service personnel types, may be the object of the interaction provided by the invention. The system and method of the invention permits communication between a user and the personality, i.e., between a fan of a celebrity and the celebrity, or between a consumer and a virtual service-person, via telephone, audio, video, CD, DVD, Internet, stand-alone kiosks and wireless devices through use of voice response technology including speech recognition and natural language software. This application claims the benefit of U.S. Provisional Patent Application Serial No. 60/ 206,649, filed May 24, 2000. StarXML: These documents will store all 3D character creation profiles including face, body and lip-syncing information. These documents will be based on specific XML DTD that we supply and may be used in the future by other third party vendors for integration purposes. FIG. 12 is a high-level hardware architecture diagram for telephony and PC applications. Preferably, the system includes a “Host Intro/Sponsor Info” step  6, wherein a caller listens to a pre-recorded introductory message by a host including a promotional message during the introduction in which instructions on what to do and how to use the card are provided. The host may be another well-known personality who moderates the interaction between the star or celebrity and the user. The host can for example introduce the celebrity, provide an introduction to certain portions of the interaction or interject a response when the user asks a question for which the celebrity has no previously prepared response, as will be explained below. One or more celebrity hosts such as Carson Daly from MTV may introduce an interaction with each celebrity. The caller's voice dictates where in the network the caller wants to go. The caller also has the option to press a key, e.g., the * (star) key, to bypass the introduction and switch over to another operation such as an interaction with a star, playing a game, making a purchase or some other operation. In the “Star Interaction” step  7, a caller speaks directly with a celebrity. In that step the caller can ask the celebrity virtually anything she/he wants to know and will receive one response from a wide variety of pre-recorded responses. For instance, a caller can ask when the celebrity will be touring and the celebrity can respond by telling the caller about an upcoming concert or appearance in the caller's area. In the operation step  8, “Host/CoHost,” a host and/or a cohost (animated or live) can keep the conversation on track by guiding the caller through the experience in an entertaining yet useful way using, for example, lighthearted banter between the host, cohost, operator, celebrity and another person on the network. The host may be called upon to provide a response in lieu of the celebrity's response if there is a question that is difficult to answer or inaudible to the system. If the caller asks a question for which there is no celebrity response, then either the celebrity or a host will intercede and say something creative and yet personal like, “Well, excuse me . . . you know we can't answer that . . . ” and then steer the conversation by asking the caller something else like, “You can ask me about my acting career, personal interests or my new projects.” The host can also preferably redirect the caller when he asks a question for which the celebrity has no recorded answer. For example, he could state that the celebrity cannot answer that right now but let me ask you (the caller) a question. Thus the host acts as a moderator who can in essence elicit a better question from the caller or and prompt a response for which a celebrity has already pre-recorded an answer. In operation “Cameo Guests” step  9, other stars make cameo appearances from time to time and interact with the primary celebrity and the caller in an entertaining way. In this mode, the celebrity actually participates in a real-time conversation with the caller. Other individuals may also make cameo appearances such as tour managers, family, teachers, etc. Thus, the fans can be told that the celebrity personality will occasionally participate “live” in the phone interaction phone call as a way to enhance interest in use of the network and to provide an incentive for the caller to access the network more frequently. These events can be recorded and archived for other callers to access if they wish to hear the conversation between the celebrity and a surprised caller. In “Star Soap Box” “or StarBox” step  10, a celebrity has the opportunity to, at any time, access the network and voice any and all of their opinions or concerns. These comments could be generated in a monologue, voice-recorded format which could be periodically updated and archived and may be retrieved at the request of the caller. Various other forms of interaction with the celebrity may be selected. For example, in step 11, “Fly On The Wall—Multi Stars,” a caller is privy to a celebrity interaction with another celebrity such that the caller is like a “fly on the wall,” eavesdropping on the celebrity's intimate conversations with others which have been pre-recorded. A caller may also vote for his favorite celebrity interactions they would like to listen to. In the “Live Star Call-In” “or StarsLive” step 12, a caller talks personally with his favorite celebrity ‘live’ not computer-generated or prompted. These conversations may be randomly dispersed throughout the network and each celebrity can patch into the system at undisclosed times to talk with a lucky winner. In “Contests” operation 13, a caller can participate in interactive games and contests and have a chance to win prizes such as CDs, concert tickets, sporting event tickets, and an opportunity to meet or interview their favorite star live-in-person. In “Polls” “or StarVote” step 14, the caller votes on his favorite aspects of a celebrity's career or participates in a survey where the caller's opinion can make a difference in the celebrity's life. Information is compiled into a database and is used to improve the efficiency and response of the network or is used by a celebrity's management to improve their offerings. Through entertaining and creative voting platforms, caller responses will be tallied and compiled into a reportable database. This information will be used by e.g., a company, celebrity, or an affiliate partners' for purposes such as marketing strategy. For example, if a celebrity is coming out with a new CD and the record company wants to know which song off the CD will qualify as the single, a survey is conducted whereby fans will hear a short segment of each song in advance of its release and vote on their favorite song which then may become the single. In step  15, “Affiliate Links,” a caller is connected to merchants or services in the entertainment industry such as TicketMaster to purchase tickets. For example, an advance version of an artist's latest single is heard or referred to and a caller is then switched over to a music retailer to purchase the CD immediately. Also, a caller can be connected to a special telephone line to order products of the caller's favorite celebrity. A caller can also receive valuable information about charities that the celebrity is associated with. In step  16, “Voice-Sampled Listings,” a caller is kept informed and entertained over an extended period of time through various responses that deal with just about any type of interaction. This is accomplished by using Concatinate Synthesis technology, which takes a voice sample of a host's voice and creates an artificial intelligence of his or her personality to be able to have an in-depth talk with the caller without having to anticipate their every question. With Concatinate Synthesis technology, there is no need for a host or star to pre-record a response to every conceivable possible question. For example, through the use of Concatinate Synthesis software, updated information like concert dates can be provided or spoken in a star's own voice without the necessity of pre-recording the information. The interaction with the star is terminated at step  14 of FIG. 1. in “Host Goodbye—Interaction Ends”. At this stage, the host alerts the caller that his time has or is about to expire. The host then thanks the caller for his call. Preferably the host then gives special thanks to the caller's sponsor(s) and provides a short informational message (“plus”) in support of the celebrity's favorite charity which may be a beneficiary of a portion of the call's proceeds. In “Menu” step 18, the host outlines various options as described below, that may be accessed by the caller subsequent to the initial interaction with the celebrity. In the “Recharging” step 19, the operator or host asks the caller if he wishes to speak to the star or celebrity some more and gives the caller instructions on how to order more interactive time. A caller is told that he can either recharge his StarPass using a credit card or StarCard (debit card) or can go to a local store and purchase more time. In “Purchasing” step 20, the caller is given the option to purchase the celebrity's products on the network or be switched to an affiliate to make purchases or find out more information about the availability of various products. In “Sponsors” operation 21, a caller is given the option to hear more about each sponsor and has the opportunity to be switched to the sponsor for more details. In the “Charity” step 22, the caller is told more about the charity that is linked to the celebrity and the caller can also make a donation to the charity. In the “Other Stars” step 23, a menu highlights the other stars or celebrities then available on the network. The caller is then directed to where he may purchase StarPasses, DVDs, CDs, Internet Access, and/or other goods or services. The “Host Intro/Sponsor Commercial” step  4 is similar to operation step 6 in FIG. 1. In this step, a user views and listens to a short, pre-recorded welcome message by a host including a promotional spot during the introduction with instructions on what to do and how to use the network. The user then views and listens to a message stating how much credit is available in their account for interacting with the stars. After the welcome message, the user's voice dictates where in the network the user wants to go. The user also has the option to bypass the introduction and switch over within the network to another operation such as an interaction with a celebrity, playing a game, and making a purchase. During a Host's welcome introduction, a menu is provided which gives the caller an opportunity to route himself to other areas by asking to do so. For example, a caller may say “I want to play the trivia game now” and the caller is then immediately transferred to the game area. Repeat callers can simply say what they want to do at any time during the call and they will be transferred to the area they desire. If the user elects to stay within the network, he or she will next see and hear a visual/audio menu in step  5, “Visual & Audio Menu.” The menu lists the options available during the interaction. This includes the primary celebrity interaction from the CD/DVD purchased, as well as a list of other links including the website where the user can become a member of the network and gain access to the entire stable of celebrities on the network. Finally, the menu highlights the other stars who are available on the network, and directs the user to locations to where the user may purchase an interactive phone card or CD, DVD or Internet Access to interact with the stars. If the user elects to link to the website, in step 6, “Link to Website,” the CD or DVD provides the user with Internet access and a website to download updated information about the celebrity they've selected. The website also gives the user certain interaction options for interacting with the stars. Those options (Steps 9-16) are analogous to Steps 9-16 of FIG. 1. The “Affiliate Links” step 7 is similar to step 15 of FIG. 1. In this step, a user is connected from the website directly to links for ticket sellers such as TicketMaster. The “Star Interaction” step 8 may be accessed directly from the menu and is similar to step 7 of FIG. 1. In this step, a user asks questions directly with celebrities from various aspects of entertainment and sports via microphone attached to the PC. Pre-recorded responses are seen and heard in real-time digital video and audio. The user can also scan in a photograph of himself and be digitally placed within a scene or within a game with the celebrity. Once on the website, the user's questions or commands guide him and he controls his own experience. The user navigates through the website by using simple voice commands like, “Take me to the music area” and “I want to talk with Britney Spears.” For example, the user can then watch a full motion video streamed image of Britney welcoming him to ask her a variety of questions. The user can also be hyper-linked to the celebrity's official website (e.g., www.britneyspears.com) for more information or to other affiliate sites to purchase products or play games. In the “Microsoft 2000” operation step  3, a user can download the SR and NL directly from the network developer's website or from another site such as that of Unisys Corp. In the “Interactive Screen-Savers” step  5, a celebrity's image is animated and moves across the computer monitor screen as a screen saver. The user can also scan his or her photo into the system using for example Cyber-Extruder software (DAS) commercially available from Cyber Extruder or from Stars 1-to1's products or services through a special licensing agreement between Stars 1-to-1 and Cyber Extruder, and have the user's image animated in the screen saver along with an image of the star. The screen saver itself is voice-enabled so that the user can ask questions like, “What time is it?—“Do I have new mail” etc., and a response to the user's question is generated in the celebrity's voice. Computer-generated Steps  6 through 9 are similar to the operations with the same name in FIG. 2. In the operation step 10, “Cyber Extruder Fan Photo Scan,” the user scans in a photograph of himself, a 3-dimensional mask is created and the fan is digitally placed within a scene like a personalized talk show with their name on the marquee. The user can choose a specific body type and outfits and can be seen for example singing on stage with a celebrity such as Britney Spears or doing a scene with Arnold Schwarzenegger in the film the Terminator. Users can also interact with their favorite celebrity using a video of the user combined within the celebrity scenes. In “Edit/Record Talk Show” step  11, interactions may be edited and saved onto a CD, DVD, computer diskette or emailed to others. In “Fan's Name Spoken by Star Throughout Visit” operation 12, the user inputs his or her name and other information (e.g., user name, password, etc.) and throughout the interaction visit, the host and/or celebrity will address the user by his name. An opt-out feature allows a user to confirm or change the name entered into the system. The names are voice sampled and translated into the celebrity's or host's voice by the computer using Concatinate Synthesis technology. Steps 13 and 14 are similar to the steps in FIG. 2 having the same name. In “Star Soap Box/Star Call-Back” or “StarBox” step 15, a star may access the network and voice any and all of their opinions or concerns for all the world to hear and see. The comments are updated and archived and may be retrieved at the request of the user via a search engine on the website. The “Star Call-Back”, “StarBox” operation gives the fan a chance to get a live or voice interactive phone call or email with personalized greetings like “Happy Birthday,” “Congratulations on your graduation,” etc. The “Fly on the Wall—Multi Stars” step  16, is the same as the step of FIG. 2 of the same name. At scheduled times, stars will conduct live interviews with selected fans on the network in “Live Video Chats” step 7. This is seen and heard through video streaming. From time to time celebrities will enter the network using an access code that is provided to them. A celebrity, using his own phone, is linked to one or more callers who are randomly selected by software. Transcripts or video recordings are archived and available for downloading. In step  18, “Star Advice Line/Star-o-Scopes,” a user can ask a wide range of topical ‘teen’ questions and a choice of various celebrities are shown to the user with the answers to their questions. Star-O-Scopes also features a star or a fan's astrological daily information. Step 19, “Contests & Games,” is similar to step 13 of FIG. 2. Any game can be altered using Cyber Extruder's DAS. The user can insert himself into the game and put his face over an existing computer game body. The celebrity will also have his face applied to another computer body and the user then can control what his ‘character’ does within the game. “Star Auctions/Charity” at step  20 is a feature that permits holding periodic auctions of celebrity memorabilia. A user will either bid on items while being linked to other existing Internet auction sites, given the opportunity to bid through co-branded web auctions or bid through Stars 1-to-1 auction through licensed auction software like OnSite. In “Fans Direct Scenes” step 21, a user scans or digitally uploads his image into the system and the image is inserted into a scene of his choice and then the user can voice-direct the scene. The user then can create his own music video or a scene from a movie or be in a sports stadium playing with a star. The user can also direct the scene of his favorite celebrity without his own image in the scene. These interactions can be edited, recorded and downloaded or emailed to others. In step  22, “Create-a-Star/Fans' Ideal Star,” a user gives voice commands of the attributes of his ideal celebrity in various entertainment and sports categories. A customized character is then directed in various scenarios or the user can play a game with the customized character. A fan can scan his image into the scene as well. Step 23, “Polls/Surveys,” is similar to step 14 of FIG. 2. In step 24, “Message Boards/Inter-Fan Chat,” a user leaves messages for their favorite stars or for other users. A user can also chat with other users of a particular celebrity. From data collected about Internet usage and the results of the polls, surveys and contests, a report is made in “Custom Marketing Reports” step 25. “Voice-Sampled Lists” step 26 is the same as step 15 of FIG. 2. In step 27 “Star Mad-Lib”, a star reads a paragraph and leaves blanks to be filled in by the fan. The celebrity prompts the user for a noun, verb etc. The words filled in by the fan are then translated into the voice of the celebrity and read back to the user using voice-sampled Concatinate Synthesis software. Focus group research is performed with respect to a particular celebrity or group of celebrities as shown in step  1 of FIG. 3. A focus group is a sample of individuals who have the characteristics (e.g. age, gender, interests) of the persons regarded to be of interest or who may typify of the fans of the celebrity. The focus group will then be gathered together and will be asked a series of questions or have other discussion intended to elicit a script of, for example, most commonly asked questions of the celebrity, step 2. The script may also identify areas of interest in the celebrity's life, activity, schedule, favorite roles, etc. which can serve as a platform for identifying topics of interest about the celebrity. Once those topics or script have been identified, an actor is hired as shown at step  3 of FIG. 3 to impersonate the celebrity. Next, a second focus group is held before a similarly constituted sample of the public in a format where the impersonator remains hidden from the group. That format, where the impersonator remains hidden from the focus group but responds to questions from “behind a curtain,” is referred to as the Wizard of Oz format. This Wizard is actually a live technician who prompts the appropriate pre-recorded responses (from the impersonator) to a live focus group participant. In this case the Wizard takes the place of the finalized NL application. This approach enables the team to record and analyze how the interaction takes place with a minimal expense. (step 4). A refined set of topics and scripts based on this second focus group is then generated. This data is then used to fine-tune the scripting and speech-analyzers so that by the time the celebrity and/or host record and the final application is complete, most of the errors have been eliminated. Once the refined script has been generated, an actual interview (both audio and video) of the celebrity is conducted and recorded as seen in step  5 of FIG. 3. Preferably, an interview of the celebrity by a host or series of hosts is also conducted (step 6) to generate the host-facilitated portion of the interaction. The voice response by the celebrity will then be generated either via use of an operator script or voice sampling techniques. Where the inquiry is of a more personal nature or calls for an opinion, e.g. “Do you think we can solve the problem of global warming?”, and “What is your favorite color?”, it may be undesirable or impossible to have a computer generate the response. Thus, a pre-recorded response by the celebrity is more appropriate and preserves the integrity of the interaction, i.e. it gives the celebrity's actual belief or opinion. As seen in FIG. 3 at step  7, an operator script can be generated from the celebrity and host interviews and the recorded operator script then prompts the computer for the same response in the user's own voice. As seen in step  8, voice sampling technology is an alternative source for the celebrity's response. The sampled sounds (scripted vowels, consonants, syllables, voice patterns, etc.) are stored in compiled databases. The final responses are not pre-stored but are computer-generated by the Concatinate Synthesis software combined with pre-scripted variables so that the software can better formulate the responses using the celebrity's (or fictional/animated characters) voice. Once the operator script has been finalized, a Unisys natural language application will be applied to that script in accordance with step 9 of FIG. 3. In another embodiment, the invention consists of a system for redirecting the interaction with a user who asks a question that the system cannot answer. As described above, the system may preferably generate responses to user inquiries from voice sampling data or from pre-recorded messages. It is possible, however, that some users may ask a question for which there is no pre-recorded message or other answer. In such instances, the system of the present invention contemplates use of a host who has introduced the celebrity [step  6 of FIG. 1, Step 4 of FIG. 2 and Step 6 of FIG. 4] to intervene and direct a question to the caller. For example, the host may say, “the celebrity can't answer that question but why don't you ask her about her upcoming concert.” The host or celebrity may alternatively ask the user a question which elicits a response that the celebrity has anticipated and for which a pre-recorded answer is provided. In this way, the system maintains the interactive aspects of the discussion and elicits a better question from the user. Alternatively, the celebrity can supply a pre-recorded response stating that she cannot answer that question and the celebrity or star may himself redirect the user to ask another question. f) transmitting the response to the user in the personality's voice. 2. The method of claim 1 wherein the user is prompted via telephone access, wherein the access is granted in response to use of a calling card device assigned to the user. 3. The method of claim 1 wherein the user is prompted via use of a CD. 4. The method of claim 1 wherein the user is prompted via use of a DVD. 5. The method of claim 1 wherein the user is prompted via use of web pages delivered via the Internet or another communications network. 6. The method of claim 1 wherein the user is prompted via the use of a wireless device. 7. The method of claim 1 wherein the user is prompted via the use of a remote kiosk device. e) means for transmitting the personality voice response to the user. d) means for transmitting the host response to the user. e) storing the voice samples in the database. 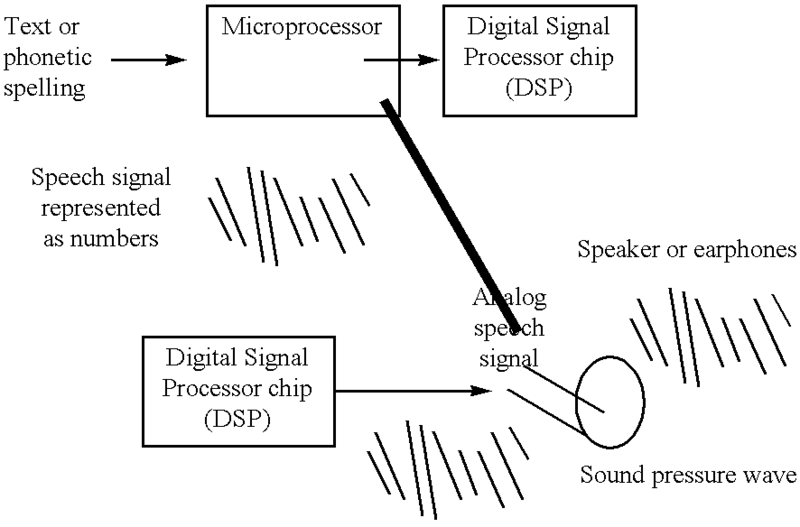 d) means for transmitting the voice response to the user. 13. The network of claim 12, wherein the means for transmitting the voice response to the user transmits the voice response as part of an audio-visual presentation of the personality. 14. The network of claim 12 or 13, further comprising means by which a user selects a personality to interact with from a plural set of personalities. (b) transmitting the information at least partly in the voice of the personality selected in step (a), to the recipient, via a communications medium or network. providing means by which the recipient is able to select the type of information to be transmitted. (b) information transmitting means for transmitting the information to the recipient, via a communications medium or network, at least partly in the voice of a personality selected by recipient using the personality selecting means. information selecting means by which the recipient is able to select the type of information to be transmitted. 19. A method of interacting with a virtual personality comprising accessing, as a user, a system according to any one of claims 8, 9, 17 and 18, so that requested information is transmitted to the accessing user at least partly in the voice of the personality. Nass et al. 2001 Does computer-synthesized speech manifest personality? Experimental tests of recognition, similarity-attraction, and consistency-attraction.